As promised, here is a free knitting pattern for based on the little hat I knit while up in Snow Shoe, PA over this past weekend. One little piece of trivia: This is Ludicraft’s first birthday! And I think there is no better way of thanking my readers than to share a new pattern with you. Let’s get rolling. Snow Shoe is a small town in North/Central Pennsylvania. I go there with my family to relax, unwind, and unplug. 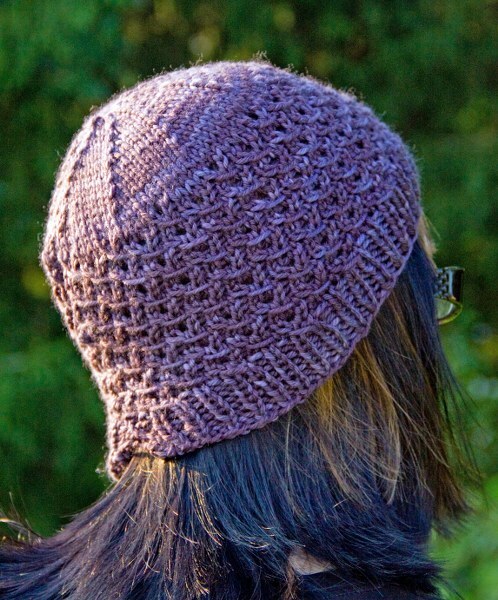 I finished this hat pattern while spending a weekend up in Snow Shoe, and I want to share it with you. I love this hat. It kept the sun off my head and my hair out of my face all weekend during hikes and excursion. The yarnovers provide a little ventilation and coolness. I want to share this pattern with you. Please enjoy! Work in K1, P1 ribbing for about 1 ½ inches. The second stitch of the k3 in Rows 1 and 3 is always a yarnover from the previous purl row. The yo increase on the purl rows always occurs between the two stitches you passed the slipped stitch over. In Row 1, hold the yarn in front of your work while you slip the stitch. The rest of the time, hold your yarn to the back of your work as you slip the stitch purlwise. The psso is for BOTH of the k2 stitches. Repeat these four rows until body measures about 3 ½ inches. 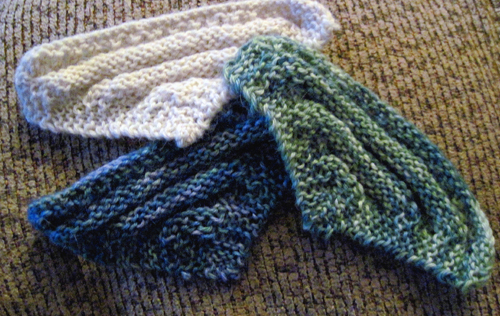 End by knitting a WS row (either a Row 2 or Row 4). Repeat these two row once more. You should still have a few live stitches on your needle. Cut a long tail and weave yarn through remaining stitches and pull to tighten. Use mattress stitch to seam both sides together. Weave in ends, though this might be easier to do before you seam. Now, go out into the woods and have some fun! EDIT 03/12/2013: I messed up the decrease section and have fixed it. The above pattern should be correct now. 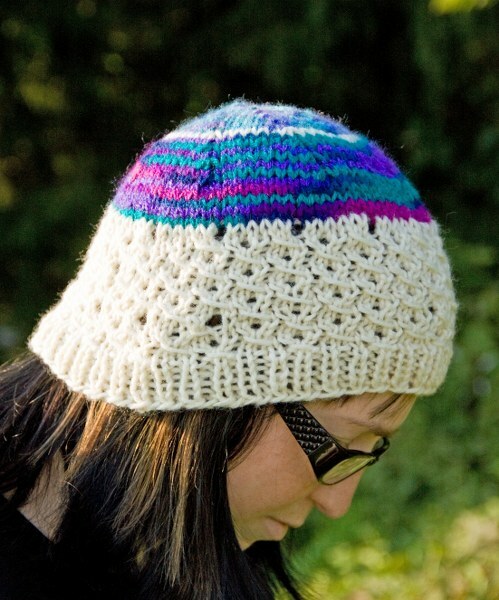 Thanks to those on Ravelry who caught this! I did something bad. 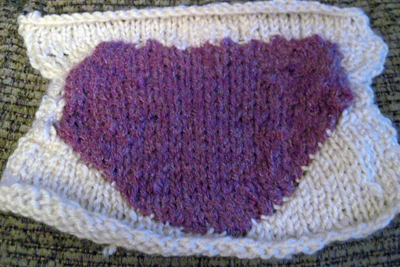 I cut into my knitted work and it wasn’t for steeks. And I don’t regret it at all. I got the final product I wanted out it, so I wasn’t all that naughty. Most knitters, myself included, cringe at the thought of taking scissors to an FO. In this case, I wanted a particular result and I didn’t get it the first way, so I grabbed my scissors and took the plunge. I completed my Mi’raj Shrug last Monday in the car on the way to the beach with my husband. It was also our seventh wedding anniversary, but I just felt like putting that it because, why not? 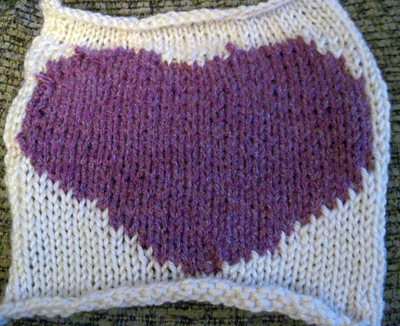 Anyway, there is an optional band you can knit for this shrug, and I took the option to do so. Now, I had tried on the shrug WITHOUT the band and it looked lovely, so I though the band would be a nice finishing touch. Either I didn’t do something right, but it didn’t. When I had finished completed the band from the picked up stitches in the inside circumference, I tried it on. The band made the shrug too narrow for me to wear. I did manage to get it on, but The Hubs had to help. And I couldn’t take it off the shrug by myself, either. If can’t take on and off a casual piece of clothing without assistance, there is something wrong. Rather than stuff the shrug in a trashcan at a rest stop, I decided to go back to what I had originally had: a nice, comfortable shrug. I grabbed my travel craft scissor and cut. It was a terrifying experience. I managed to cut that band off. I couldn’t unravel it because I had bound off and woven in my ends. I would’ve had to have cut anyway. I cut that bad boy off right down to the original edge where I had picked up my stitches for the band. Bingo! I chopped that band off! I had my shrug back and did it in the most unthinkable way possible! I do not wish to do something like that again. I should’ve listened to that little voice in the back of my head saying, “Leave it as is!” before I started that band. Would I recommend this pattern? Yes! It’s cute and fun to knit. Would I recommend knitting the band? No. This was a strangely exhilarating experience, and not one I care to repeat. I am sick of knitting hats. It seems like everything I knit for my upcoming show is a hat. That needs to stop. So, I’m focusing on other types of projects, such as notebook covers and coffee cup sleeves, stuff like that. Oh, and trinket bags. Just not hats. I’ll probably knit a chunky scarf or two in the interim, as well. 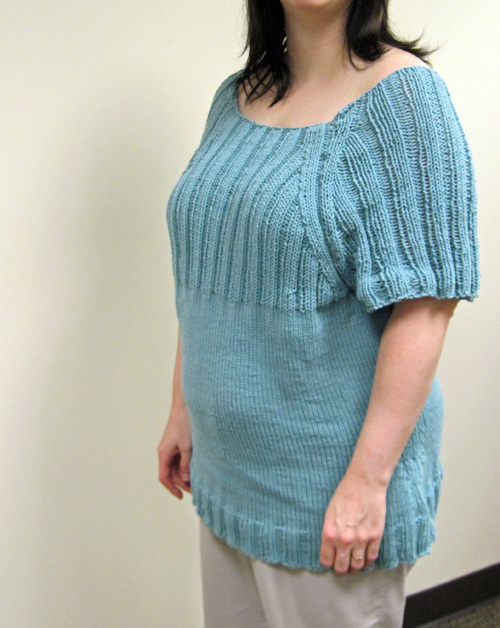 I have a pretty lace knit one in Berocco Chunky, (lace again!) 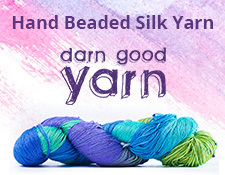 and have yarn for a ruffly type scarf, too, in a nice acrylic, mohair, and wool blend. I think its Katia yarn. Park Avenue, or something like that. If I don’t sell all those hats, I do have a good use for them. I’ll take them to the local cancer center and donate them for cancer patients to use as chemo caps. I’ve done that before, and they were well received. In the meantime, though, no more hats. At least not for a while. When did I become a lace knitter? So, I’ve noticed something lately when knitting. I knit A LOT of simple lace. The funny thing is that lace knitting sort of scares me with its intricate decreases, yarnovers, and charts. Still, simple lace has become a way of knitting for me. Is this a leap into complex lace? Time will tell, I suppose. 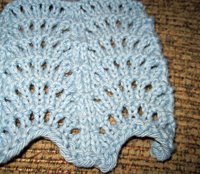 As an example of said lace knitting, here is a swatch of a fan and scallop cloth I did in cotton yarn. Looks sort of pretty, I think.